Are you servicing your soul (Pisces) with your pragmatism (Virgo)? If ‘yes,’ excellent! If ‘no’… then, who do you serve?… If you don’t serve you , then who does? 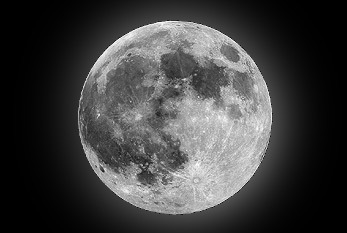 I’m looking at the full moon chart for March 19, 2011, and it’s not the easiest due to the mutable grand cross configuration involving the moon’s nodes; but, before anyone gets too carried away by being flustered: the good news is that Venus and Neptune are making very harmonious contacts. Venus (love and values) is sextile Mercury (communication and thoughts), so let’s just say that communication is active (Aries) and somewhat objective (Aquarius). However, that’s not the whole story for communication: next to the full moon is Saturn, which tends to have a reserved or restrictive quality—meaning that you may have a meaning/need/or feeling to convey but have not the words to convey it, or you may realize you need to say something, but can’t quite get the big picture (Jupiter) to fit with just words, so what to do… ? Here’s where Neptune, a planet making harmonious aspects to the moon’s nodes, comes in—use its better energies: surrender your issues to a higher-power for resolution. The moment you release to Spirit though, is the moment you have to make your senses very acute and await a reply. That’s right, it doesn’t mean your job is done just because you’ve surrendered your worries and issues. It means you’ve requested help, and then you listen keenly/watch very perceptively for your reply. One more thing: you have to honestly want that answer, whatever it is. Be willing to accept it. Now it’s tough to say all this, and get away with it, simply because there are so many factors of “affect” going on in the sky currently. Uranus is newly in Aries and very close to the transiting Sun, but not officially conjunct (or joining energies) with the sun yet (March 21st 2011). Uranus is worth mentioning because wherever he is in the sky, usually coincides with very unpredictable events—real wild-card surprises. Usually the purpose of his symbolism is to bring your awareness into a greater expression of humanity, usually in terms of “setting free” and “individuating” certain aspects of your life. So during this full moon, Uranus is on the Sun’s side. The Moon however (in opposition to the Sun, as is perceived with a full moon) is on the same side of the tracks as Saturn. Emotions are challenged. Our life-force wants to be set free, but our sense of security wants to stay right where it is. For Virgo, this could be with health or with work. As you know from my previous blog, a full moon brings forth new knowledge or illumination to the area of the chart where it occurs. For example, if the moon became full in your 7th house (astro-terminology)—that would be the house that indicates “other,” one-to-one relationships, marriage or business partners. Or, depending on your birth chart, the full moon could occur in your 4th house, having to do with things home-related, projects coming to culmination in the house. You see, it depends on “where” a planet is transiting with regard to your natal configuration. Other clues about the days on or around March 19th? We can, however, think back to December 21, 2010, when we had the Total Lunar Eclipse. Do you remember the days before Christmas? This was the winter solstice which happened to coincide with a total eclipse of the moon at the last degree of Gemini, a point that this full moon will be squaring (in difficult angle). When there is a difficult angle, say a “square,” this can bring friction or creativity. The choice is yours. Just be aware that somewhere the flow has a kink in it. Find it and make the best of it. For example, did you begin thinking up New Year’s resolutions that it’s time now for you to refer back to? I’ve got more good news: Jupiter is very close to Mercury so you will be growing and learning intellectually. You’ll be more aware of the bigger picture, and the ramifications of your current beliefs. My only caution to you with this aspect is to watch that you don’t overdo something with words, or by expression of too much over-confidence. Jupiter has the ability to enlarge concepts and make them very grand. Since Mercury will be squaring Pluto your thoughts and conversations will likely be serious and go deep beneath the surface. It all depends on your natal aspects, and how the planetary arrangements/archetypes have worked on your psychology throughout your years. One thing is certain: the future is not fixed, and how everything looks right now may be very different from how it looks tomorrow, or the day after. Get in touch with your deep intuition (Neptune in Pisces). Again, this is the good side of Neptune ! Which will be heading back into Pisces on April 4th, 2011, the sign it rules—home at last. Sometimes tapping into your source is your only real safety against an unknown future.